It is caused by damage to one or more specific areas of the brain, usually occurring during fetal development, or during infancy. This has been considered a distinct condition since 1861. Even as newborns, their muscles may change from low tone to high tone. They can also go from floppy to very stiff. There are 4 types of cerebral palsy. with CP have this type. slow movements. 10-20 percent of people have this type of CP. Ataxic CP (or any kind of CP) is not degenerative. Mixed CP is when one person has two or more types of CP. The most common type of mixed CP is Athetoid/Spasticdiplegic or Athetoid/Spastic-hemiplegic. This next set of tips will talk about some the causes of CP. pregnancy that can cause your baby to have CP. reason is deprived of oxygen. Any trauma in a child or an adult can cause cerebral palsy. Brain infection can cause CP. There are several factors that put you at risk of having a child with CP. This next set of tips will explain a few of these risks. There are several medications that help with this condition. 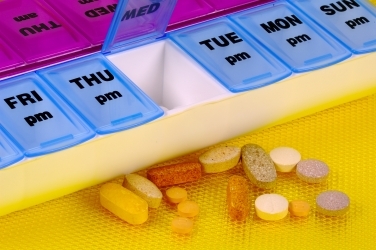 This next set of tips will go over some of these medications. very common in CP patients. feet, and other parts of the body. SDR provided permanent reduction of spasticity in cerebral palsy. The operation consists of cutting the dorsal roots in the spine. This results in reducing spasticity. 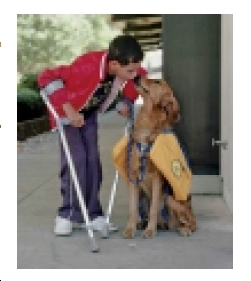 walking,” which is common with and leg spasticity. correct it by lengthening the tendon. 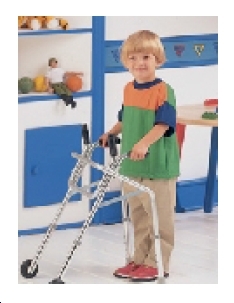 It can also help the patient to better learn to walk, and to improve balance. There are several ways to treat cerebral palsy, along with ways to make coping easier. This next set of tips will discuss some of these treatments. Make sure you research and find a chiropractor that has experience with dealing with CP. night while the patient sleeps. TES has been proven to add more muscle fiber, and along with exercise and therapy, it helps the patient have better use of his muscles. swimming motions also increases muscle tone and strength. the mind, and develop movement and physical growth. Therapy has done a lot for people (especially children) with cerebral palsy. This next set of tips will discuss some of these therapies. develop communication skills, especially speaking. well as forces the rider to move with the horse. Dolphin therapy has been around for more than 25 years. This last set of tips will go over some things that parents of children with CP can do to give you both a better quality of life. childhood experiences that he can. will boost his self esteem, and make him try even harder. days where you just let him be a kid. You can visit our health food products page here: Nutrition Supplements For Your Personal Use and learn more about our core nutrition program, the Cellular Nutrition Advanced Program and also check out these targeted products, Florafiber to replace your healthy flora and Aloe Vera Juice to help cleanse your system. There are support groups around the world who can give further information and may be usefull for you to check locally in your own area to see what is available. The resources on this site are not intended to be a substitute for professional advice. While all attempts have been made to verify the information provided in this publication, neither the author nor the publisher assumes any responsibility for errors, omissions or contrary interpretation of the web site subject matter herein. The site contents are solely the opinion of the authors and should not be considered as a form of advice, direction and/or recommendation of any kind. If expert advice or counselling is needed, services of a competent professional should be sought. The author and the Publisher assume no responsibility or liability and specifically disclaim any warranty, express or implied for any products or services mentioned, or any techniques or practices described.